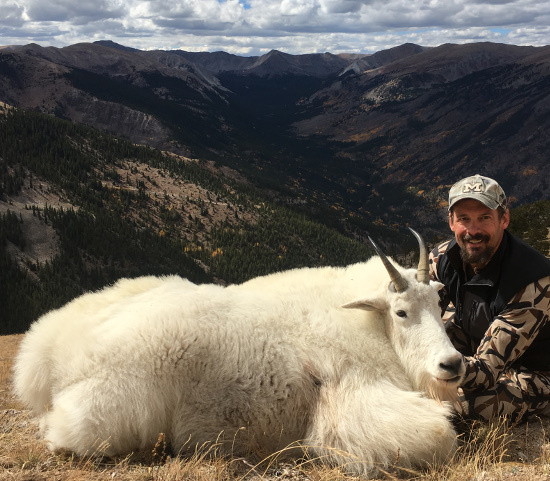 In addition to Part 1, covering the deer and elk draw for our wilderness hunts, I am putting out this 2018 Mountain Goat Draw Guide and a 2018 Bighorn Sheep Draw Guide. This article will cover all the goat units that I am familiar with and have guided in over the past couple years. If you don’t see a unit discussed, it’s because I don’t feel I have any valuable insight. You can apply online starting March 1st. If you are interested in booking a hunt with us, visit our sheep/goat hunt page. West of Buena Vista, this unit is south of the Collegiate Peaks Wilderness. The hunting here is usually long glassing sessions from 4×4 accessible points followed by long stalks of varying difficulty. The area is high elevation and goats of any size are usually found in the basins you have to work to get into. Although I don’t consider it a high density area, it is one of my favorite hunts to guide. The area is full of stunning terrain. Type – High altitude, rolling alpine with some rougher rim rock country at lower elevations. Success Rate – Great area to hunt goats. Not known for older age class billies. Hunt can be highly physical or moderate. It all depends where the goats are. My personal guiding here has been 100% harvest. Draw – I think this is a decent value historically. In 2018, you might see the tag become a little harder to draw because tags were reduced from 6 to 4. The hunting experience here is great, but you pay for that in the draw vs units like G12 and G13 which are typically 3-4x times easier to draw. Just North of G2, G3 is similar but does not have as good of access. This hunt is definitely harder than G2 with lower success rate due to a substantial part of the area being in a road-less area. If I guide you on this hunt, be prepared for a backpack style hunt and the use of horses if scouting puts goats in the harder to reach areas. The one plus of this unit is the potential for older age class billies that have used remote areas in the unit to slip by previous hunters. Success Rate – Varies a lot on hunter’s mental and physical toughness. My personal guiding here has been 100% harvest. Draw – Like G2, there has been a reduction in tags down to 4 instead of the historical 6. Usually the draw odds here are 2x better than G2. If you are a hunter in good physical shape, this hunt is undervalued in the draw. If you aren’t, this tag is way over-valued. 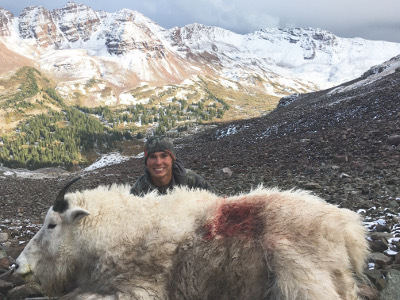 Quality – 8” and 9” Billies, Declining tag opportunity over past 3-5 years. Success Rate – Last couple years’ success rates have declined to 50-60% from 80-90% pre-2014, for non-guided hunters. Wilderness sharply gives the benefit to those with scouting time. Still a great area to hunt goats, but do not apply for this tag is you are not going to be in shape. 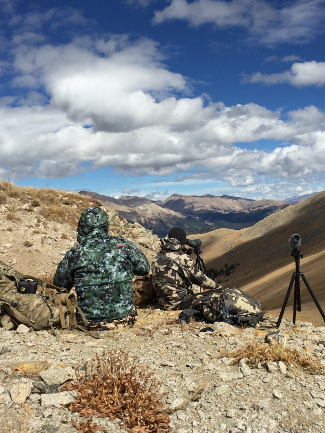 It is close to impossible if you are not in mountain hunting condition. Draw – For the average hunter, this hunt is overvalued in the draw. G2, G13, and G12 are all easier to draw and better hunts. Part of the increased applications is because it is closer to the Denver Metro Area vs. the other units. What folks don’t realize is the time it takes to actually get into goats here surpasses the time savings in a vehicle, by 10-fold. This unit has gone through the biggest changes of any of the units over the past two years. The CPW has taken the tact to drastically reduce the goat population. That mandate will likely result in the goats getting eradicated from certain drainages, at least temporarily. 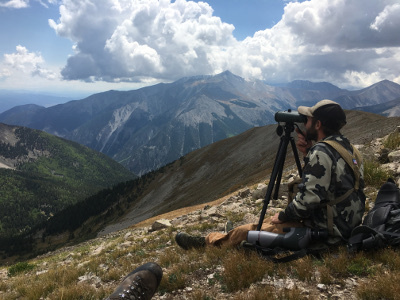 The density of goats is higher than any other area I have guided in, but there are a few things you should know before applying here: 1) The non-hunting activity is intense. This can lead to many awkward discussions on the trail and, I personally feel, it takes away from the experience of the hunt. 2) The terrain here is rugged. Just because you can glass-up goats from a parking lot, does not mean you are going to be able to ethically harvest them. 3) The hunting pressure is nuts. The nature of goat hunting can really concentrate hunters. When you are talking close to 30 tags in the unit at a time, hunting becomes a competitive sport. Type – Historical harvest is concentrated but goats are spread throughout the area and available outside of the heavily trafficked areas. Since 2016, tag numbers have been drastically increased. This has created difficult hunts for later dates. Goats are not too savvy, but they do move to rough country after sustained pressure. This country can kill you and has killed hunters in recent history. A physical hunt. Getting the good billies takes scouting and game planning. Quality – Lots of opportunity for hunters ready for the terrain, hold out for an 8”+ Billy. Success Rate – If you can get up in the rugged terrain, you can kill a mid-size goat. Scout and hunt hard to find the best goat. 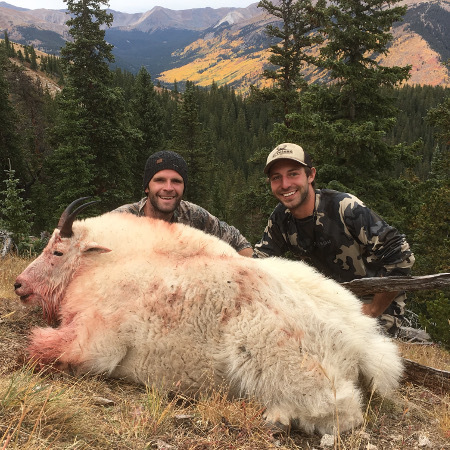 Draw – For hunters just wanting to check-off a goat hunt and that are in decent shape, this hunt is one of your best draws. For hunters wanting the pristine, no-one-in-sight goat hunt they have been dreaming about since they were 12 years-old it’s only an OK draw. Because of intense hunting pressure, billies are much easier to harvest during the first season but do not have near the hide they will in the second season. Once I factor in the potential for snow on the rugged goat habitat during 2nd season, I lean a bit towards the first season. Lots of terrain here is un-doable once it has a slick of snow on it. This is one of my favorite units to guide. Large unit with lots of pockets of goats. Some areas are accessible while others are more of a challenge. This unit hunts a lot like G2. It use to have more goats and was touted for years as Colorado’s top goat unit by several magazines. This has led to some folks thinking it’s going to be easier than it actually is. You need to scout this unit or you can waste a lot of time in old pockets that no longer hold billies. 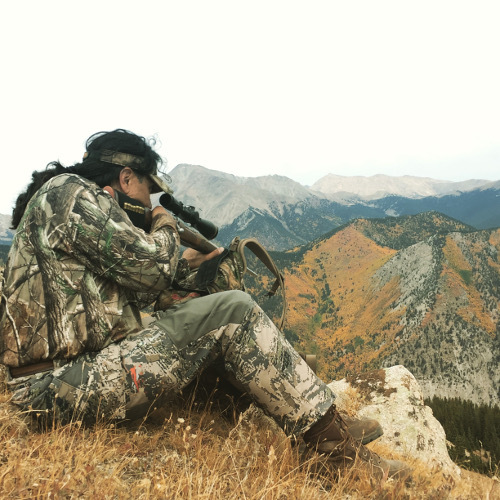 Success Rate – Varies a lot on hunter’s mental and physical preparedness. My personal guiding here has been 100% harvest. Draw – This unit is about right when it comes to draw odds. Averages harder to draw than G12. Lower goat density but a much better hunting experience. Easier to draw than G2, but you are going to have to work harder here. The terrain here is a little more forgiving, so I worry slightly less about snow hindering the 2nd season hunt. Great hides the first week of the 2nd hunt.